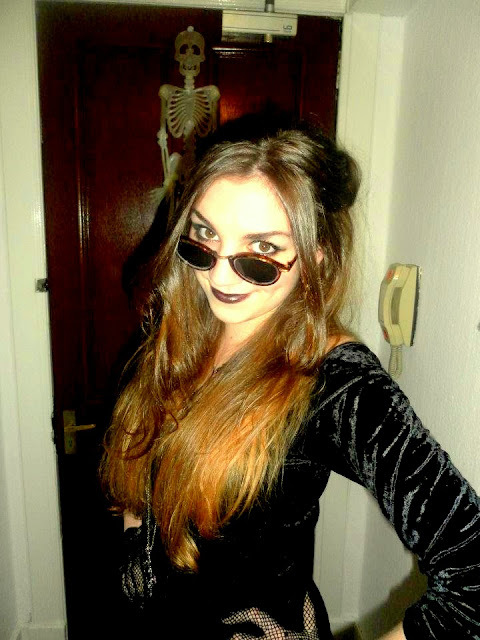 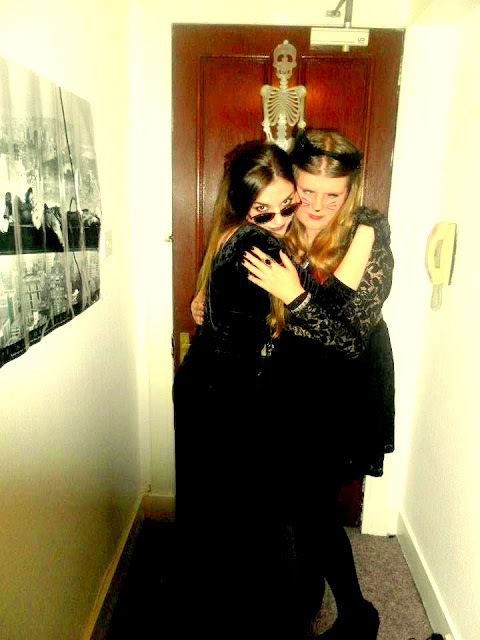 As promised, here are the photos from my halloween night! 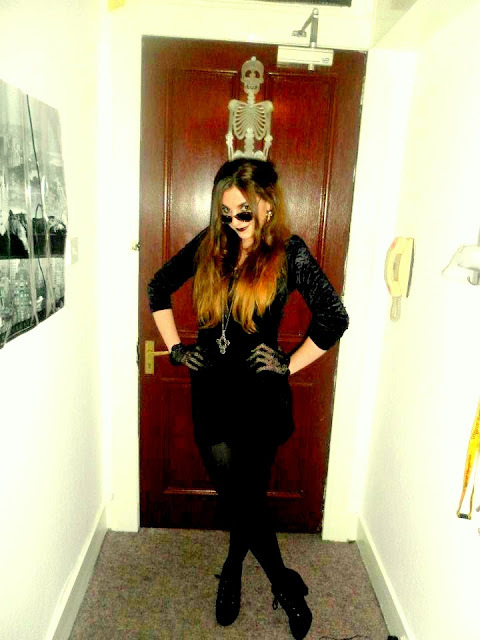 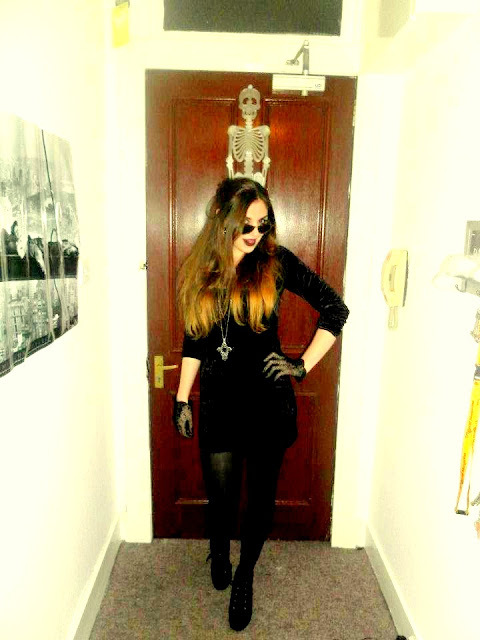 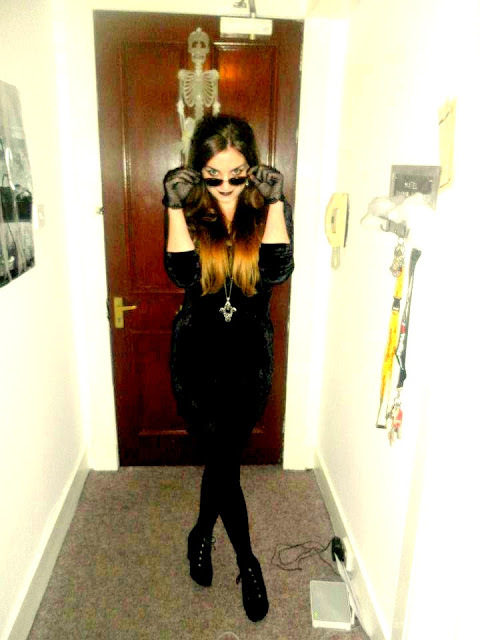 My outfit was basically a goth. 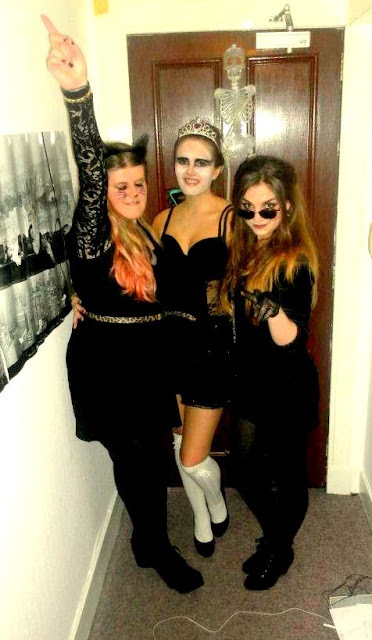 Halloween totally passed me by this year and I had no real outfit planned. 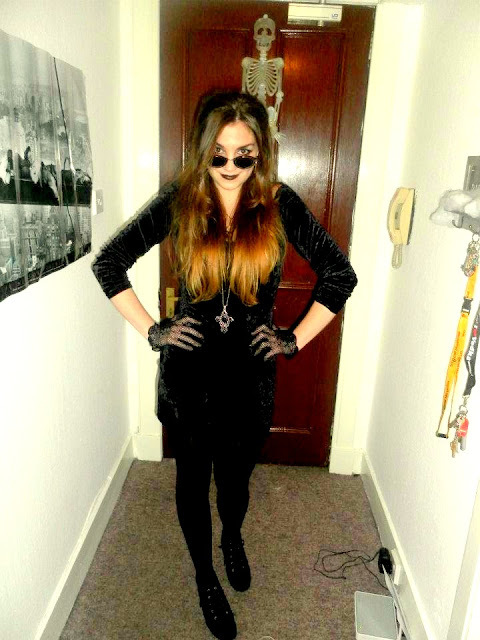 So I figured dressing in black with jewellery and layers of black lippy would do! 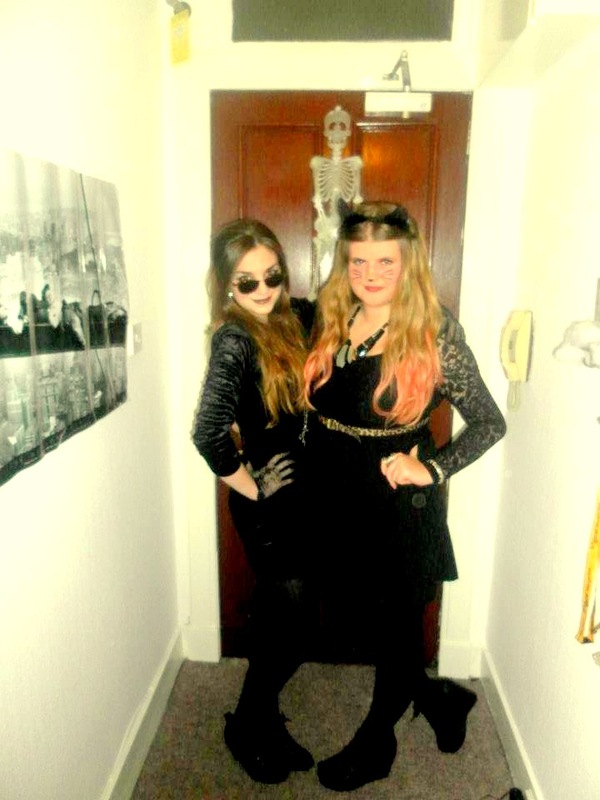 My friends pictured here are Lianne and Katy. 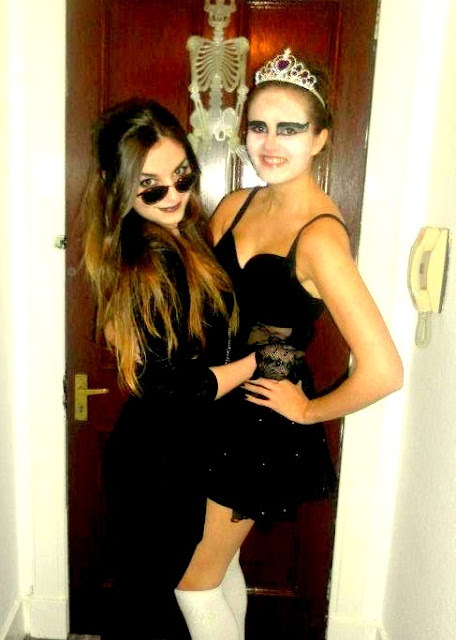 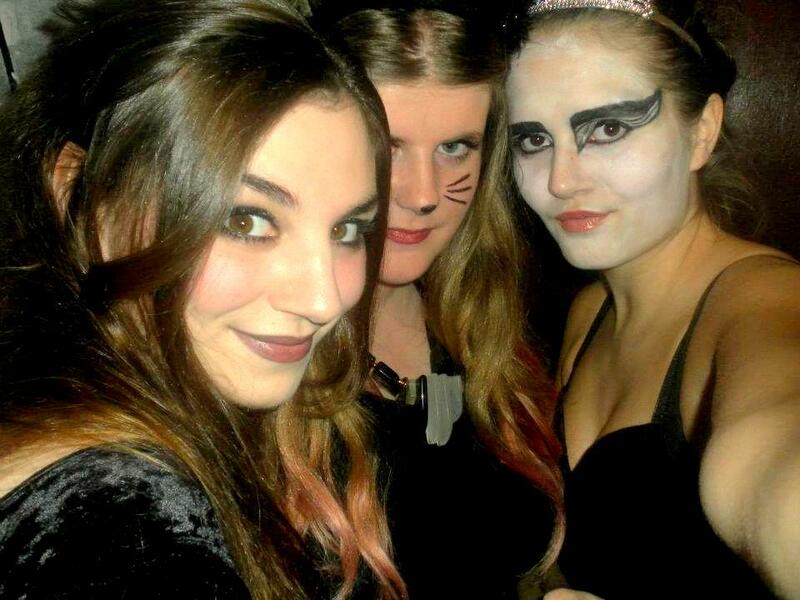 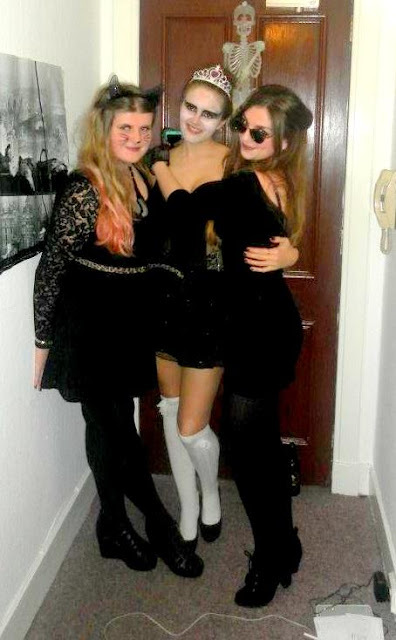 Katy is the cat and Lianne was dressed like Black Swan.. They both looked amazing!